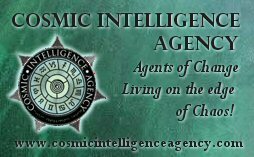 You are here: Home » Astrology Tutorials » What is a Horoscope? You’ve heard of the word “horoscope” . . . but what does it mean ? The word horoscope comes from Greek horoskopos: hora, hour, season + skopos, observe, to look at — horoscope = to observe the hour. So a horoscope captures a moment in time, like the birth of a person or a special event. It is a symbolic map of the heavens at a specific time. Typically, a horoscope is drawn as a circle divided into 12 sections with the planets and signs represented by glyphs. 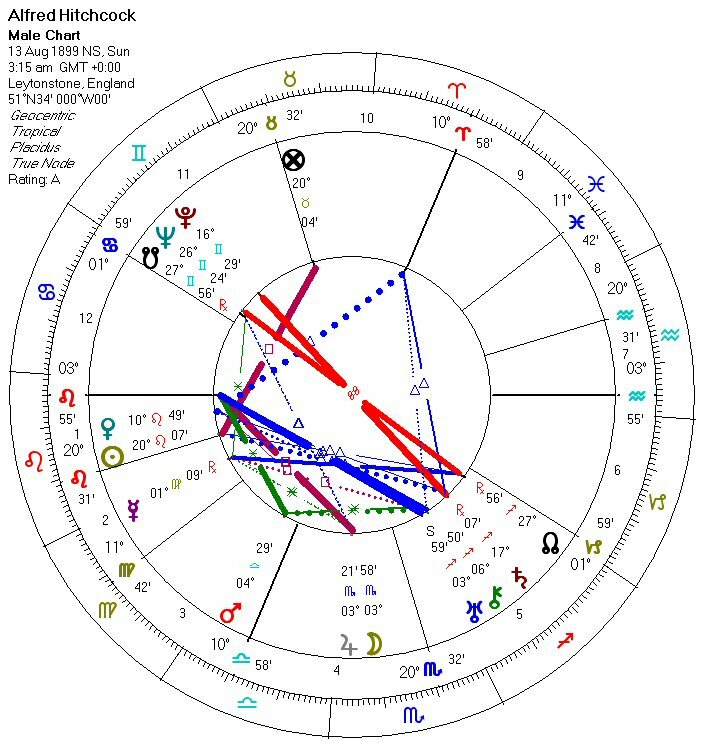 Here’s an example of a horoscope for the birth of Alfred Hitchcock. (click on it to enlarge) The symbols for Venus, Mars and the Moon are more commonly recognised but other planets less so. As you can see, the circular chart is divided into 12 sections called “houses” and the planets are placed in the zodiac sign they were in at the time. The planets and signs are drawn as symbols and the coloured lines show the connections between them. 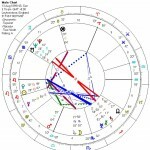 It requires a trained astrologer to interpret the chart for you.